Top Writing Tip: My recommendation for new writers is to pay attention to your backstory, and do your research. The best fiction is solidly grounded in either an extremely plausible fantasy world, or grounded in solid reality if the setting is in historical or contemporary times. Hi Pegi, thank you so much for taking the time to talk to us! What are the experiences that led you to write this book? I am lucky to be living in a part of Canada where there is a strong First Nations presence, with sacred sites, thriving communities, an Indigenous Studies department at the local university, and other cultural markers, caring circles, activism and activities. For many years now I have noticed that finding our own Pagan (or neo-indigenous) identity as non-native folks on Turtle Island has been somewhat of a convoluted process, with errors being made such as cultural appropriation and cultural insensitivity. There are some commonalities with Turtle Island First Nations in the resurgence of our Pagan lifeways, but for the most part our cultural recovery is completely different. First Nations wisdom keepers have been my teachers, and it is the political and spiritual themes most important to our native/non-native relationship that have prompted me to examine the ideas in this book. When did you realize that you were Pagan? I have always been a “flower child” (LOL) and luckily did not have much in the way of Christian conditioning to overcome in the pursuit of my love for nature. I have been engaged with self-rewilding since my late teens, and have had many animistic and eco-mystic experiences at sacred sites and other natural places. I love sacred geometry, constructing and walking labyrinths, communicating with the other-than-human world, wildcrafting, gardening, Goddess Spirituality, and exploring the Earth Mysteries. It is the earth-honouring aspects of contemporary Paganism that I am drawn to, plus the Celtic Reconstructionist process of recovering spiritual and cultural traditions from my ancestral Scottish and English roots. At age six I became an avid reader (!) and since then have always written poetry, short stories, journals and altered books, with longer articles and book reviews for community publications and BBI Media in recent years. I stepped up my writing practice in a huge way about eight years ago when I started writing Goddess Tales, and then began work on Ancient Spirit Rising. How did the topic of the book come to you? I noticed that there were aspects in the interface between First Nations and the Settler Society that people were not talking about, and I wanted to explore those themes in my own life and the wider society. Where have we been finding our identity as Pagans? How do we re-indigenize ourselves to the land, to be Pagan or Celtic Revivalist without “leaning in” to First Nations? I start off with an examination of cultural appropriation, move quickly into all that we can be doing in solidarity to assist First Nations with their social justice work, and finally, how to reclaim our essential eco-selves, rejuvenate our love for the land, practice holistic principles for sustainable living, and bond with the places we call home. This is my first full-length book, but I have had articles, poetry and artwork published in magazines and books, and have scholarly essays published in a number of anthologies. I think the non-fiction process is much easier, as there is no shortage of research material to provoke and stimulate one’s own critical thinking process. Writing fiction engages more of the imaginative abilities, and seeking out images, textures or ancient narratives work for me as a way to get the story moving. I don’t actually experience writer’s block, but when I’ve reached my limit on analysis or whatever it is I’m writing about, I go work on my bibliography! I should have been a librarian. 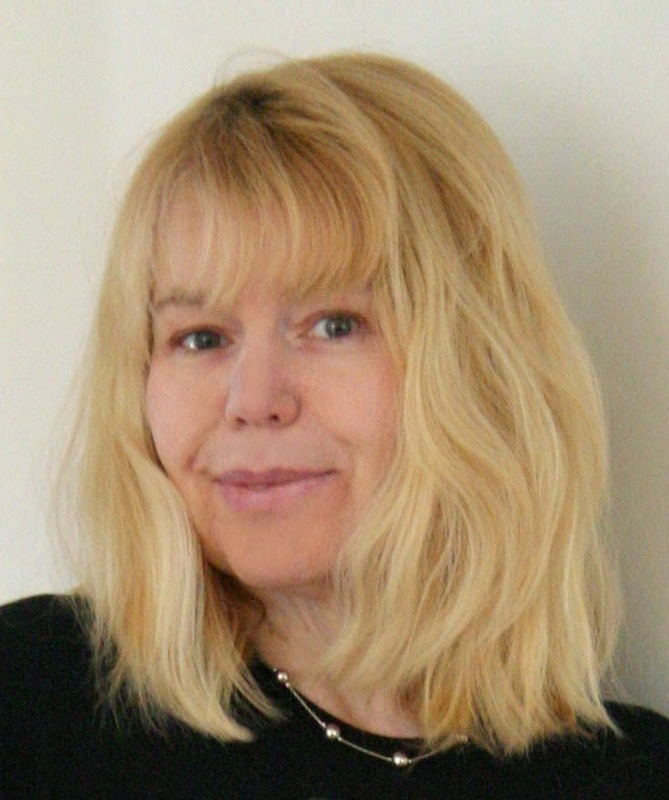 In the Pagan world I am inspired by Starhawk, who blends social activism and spirituality so effortlessly, by the books and music of UK-based Carolyn Hillyer and Nigel Shaw of Seventh Wave, and by the work of Montague Whitsel in contemporary Celtic Spirituality. I am also informed and inspired by a wide range of authors and activists in animism, eco-psychology, eco-feminism, social justice and apocalypse studies; as well as many brilliant First Nations academics, intellectuals, activists, change-makers, artists and visionaries. If you could go anywhere in the world, where would you most like a writing retreat? Definitely a complete tour of the sacred sites of England and Scotland, taking the same trails the ancients took, sketching the stone circles, creating impromptu rituals, writing next to hedgerows, sacred wells, under the Fortingall Yew or in pubs, and staying in little B&B’s along the way! I would love to live at the time of the pinnacle of Stonehenge (and environs) culture and achievement - I really want to know who built the megalith circles, what relationships they had with the other-than-human world, and what their sacred practices were! In the interest of releasing material quickly into the world, I have embraced self-publishing. I love the fact that I can have my own publishing imprint, and that I have total control over the final editing and design. The only down side I can see to self-publishing is the marketing support and distribution network that a major publisher provides, but I’m willing to take on those aspects as well. E-books are part of the seismic shift to digitization in all aspects of the publishing world, and the pace of change in this industry has been unbelievable! There are many of us who actually remember life before the internet, can you imagine? The connectivity, access and immediacy of e-books is marvellous, but I wonder if at some point in the future we will miss the more leisurely intimate relationship we used to have with the written word. I am somewhat of a Luddite, and am happy to see that published books are still keeping pace with e-books (for now). Spending hours and hours each day multitasking at a glowing screen has been completely normalized, but how is this “continuous partial attention” changing human behaviour? 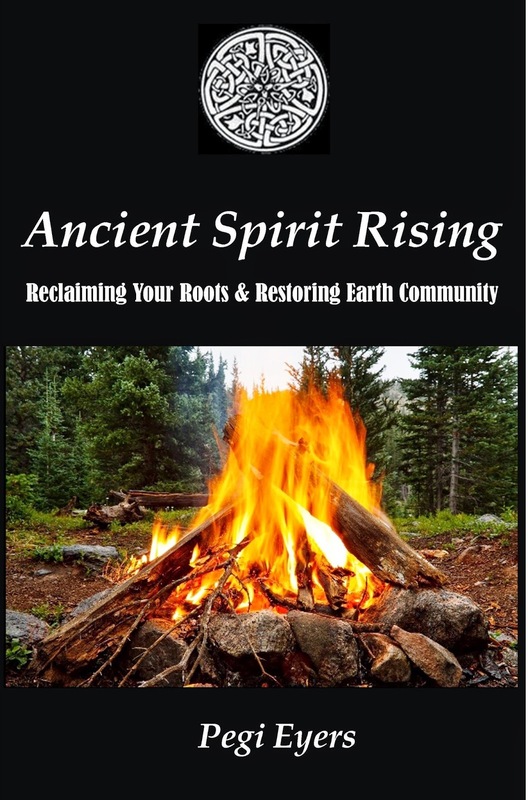 My book and social media offerings appeal to those on the path of Earth Spirituality and seekers of the Old Ways in Pagan, Reconstructionist , Druidic, Wiccan and Goddessian practice. People are looking for alternatives to Empire, and it is an exciting time to be involved in the conversation about authentic identity and re-indigenization for all peoples, and to embrace social activism as a necessary component of our lives today. My next project is to take up Blessings in Her: Goddess Tales where I left off a couple of years ago. I want to highlight a magical or pivotal moment in the lives of different Wise Women, Priestesses, Matriarchs or Goddesses from history or myth in a series of short stories, each one accompanied by my original illustrations. Thank you again for giving us a glimpse into your passion and your process, Pegi. We wish you all the best with your scholarly non-fiction, your short stories and your art!